CROSSFIT FOR A CURE TODAY! 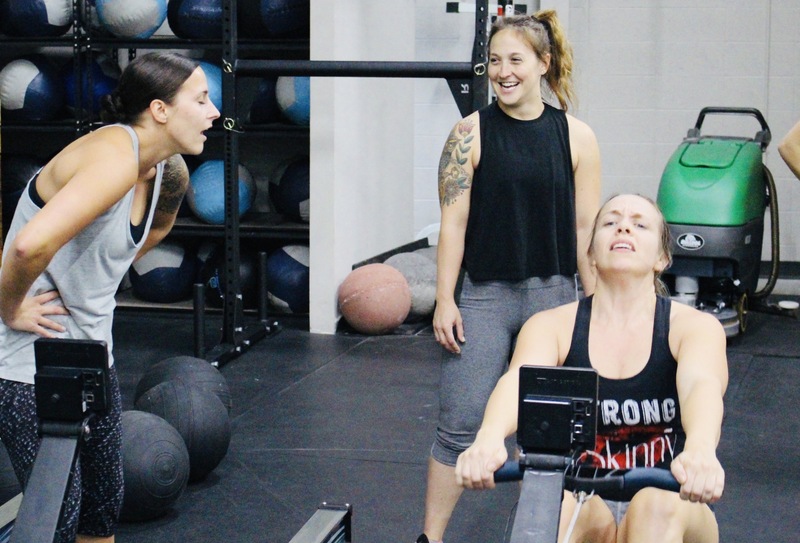 TODAY (Saturday) at 10 AM CrossFit ReVamped is hosting a free workout to raise money and awareness for the Juvenile Diabetes Research Foundation. Revamped athlete and friend of the Cove, Lizzy Mourges, is the mother of a wonderful 2-year old that is fighting against this disease. Some of you may know Lizzy as an exceptional athlete from her occasional drop-ins to the Cove or from her Regionals performance last year — but more than anything, she’s a fierce mama bear who is doing everything in her power to raise awareness and find a cure for Juvenile Diabetes! Nothing is more powerful than when we come together as a unified community to support important initiatives like these. We would love the support of all Covies to make this an extra special day. You can find out more about this event here and donations for the JDFR can be made here. Coach’s Tip: Gymnastics challenge to start the day off as a way to gauge some overhead strength. The metcon involves a lot of flexion and extension of our feet/ankles. If you get in early, start stretching and rolling your feet and ankles. Coach’s Tip: Pick a partner that you know you will be friends with after this tough workout! SATURDAY: WORKOUT FOR A CURE! 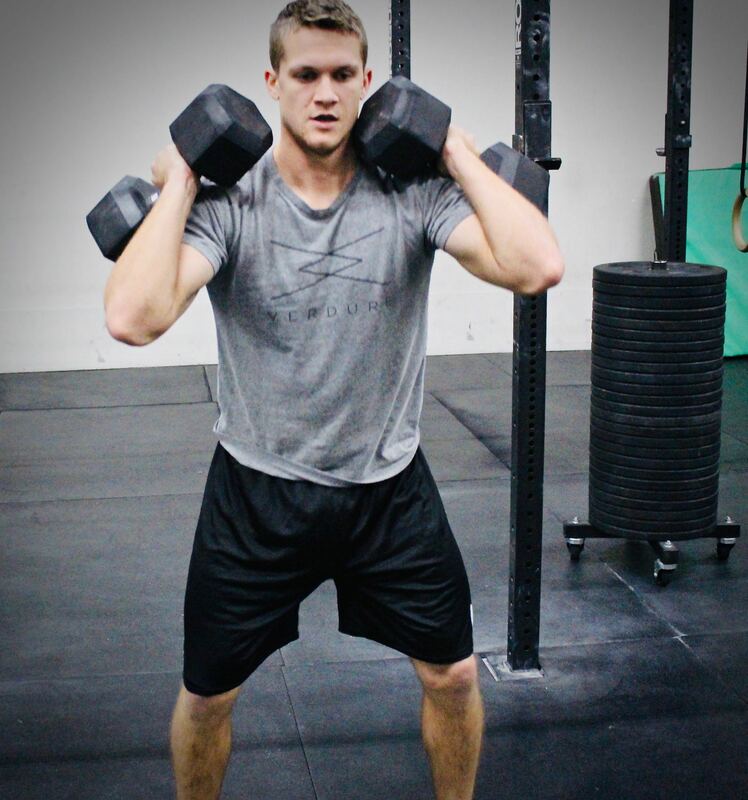 CROSSFIT FOR A CURE SATURDAY! 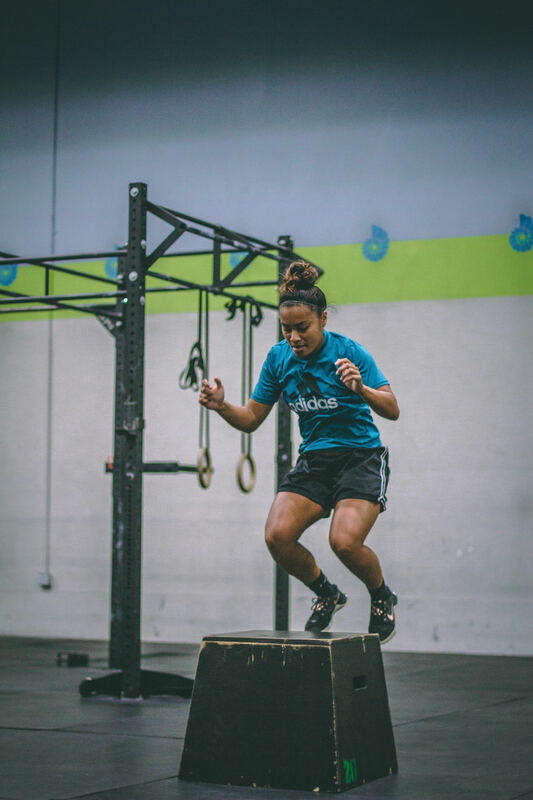 THIS Saturday at 10 AM CrossFit ReVamped is hosting a free workout to raise money and awareness for the Juvenile Diabetes Research Foundation. Revamped athlete and friend of the Cove, Lizzy Mourges, is the mother of a wonderful 2-year old that is fighting against this disease. Some of you may know Lizzy as an exceptional athlete from her occasional drop-ins to the Cove or from her Regionals performance last year — but more than anything, she’s a fierce mama bear who is doing everything in her power to raise awareness and find a cure for Juvenile Diabetes! Coach’s Tip: Leg day Thursday. Pick a weight for the metcon that you can do the Front Squats in 2 or less sets. James rocking some HEAVY dumbbells! Today we highlight the one of the most amazing athletes and genuinely wonderful people we know — Stef M. She’s a data analyst by day and Super Woman by night. She comes regularly, works hard, listens to the coaches and is so darn humble. Coach Josh agrees “she a great community person and always having fun — always smiling. She’s caught the competition bug too. She’s done three competitions and is signed up for “Flex on the Mall” this Spring. Her friends and family are fully supportive of her efforts even though “they still can’t believe I do this all the time.” She had a huge crew at the Battle of Baltimore — almost like her personal paparazzi crew. “They come to support me fully. They might make fun of me for doing it before hand, but they always are there to support me. She’s also taking her passion for fitness to another level outside the gym. “I’m taking my Fitness Nutrition Specialist certification class now. I just started it. 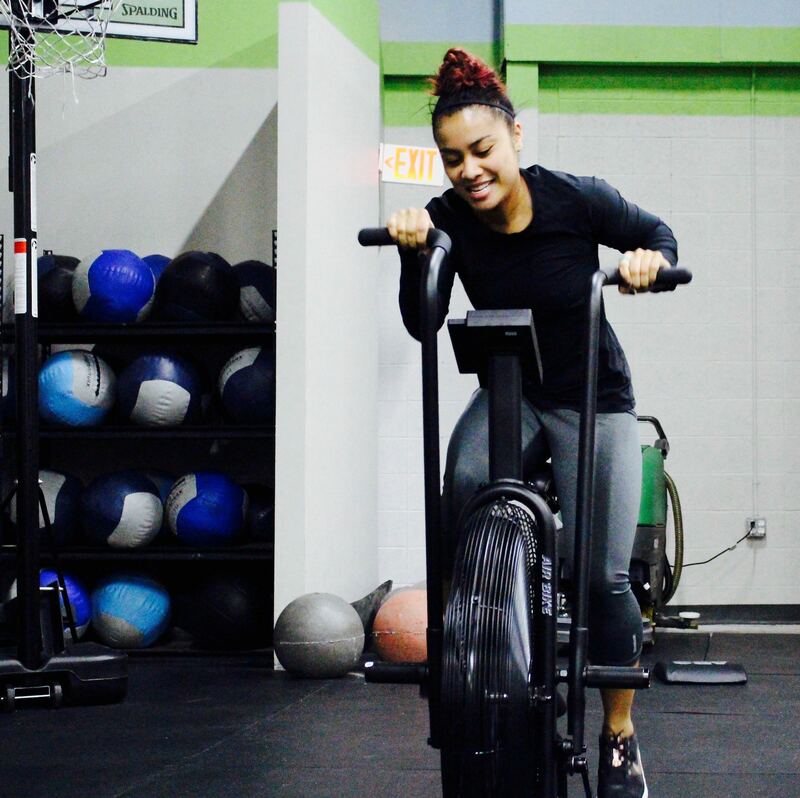 I took my Personal training certificate last August.” While it’s a passion project for now, we can’t wait to see where she goes with it. Shorter term, what’s next on her list? “Ring muscle ups. The rings just seem so different from the bar. It’s gonna be a while but I’d like to get one.” We’re guessing she has it in her. Just like all her other victories, she just has to try it. Coach’s Tip: Find a pace of the first metcon that you keep up with for at least 5 rounds. 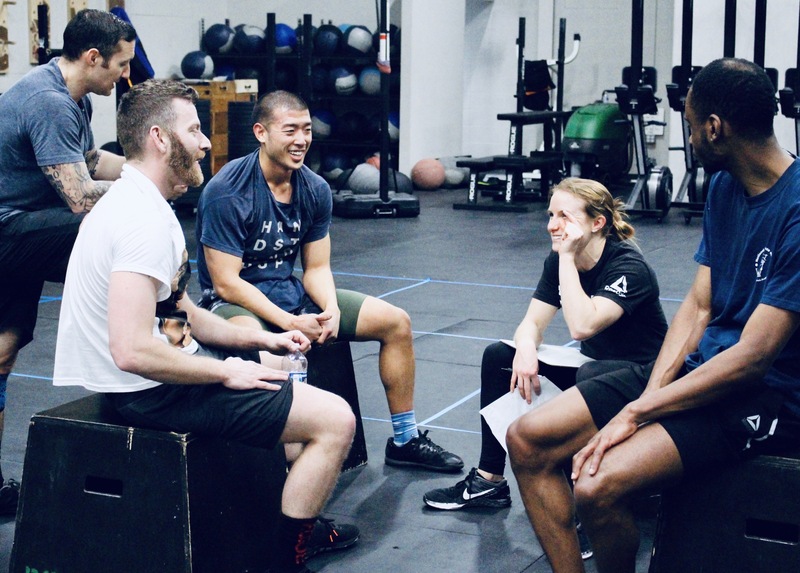 The second metcon is a sprint. No real pacing but make sure your legs are good to go when jumping up on the first Box Jumpover. A ‘vintage’ shot of Stef from two years ago. Yup, always smiling! 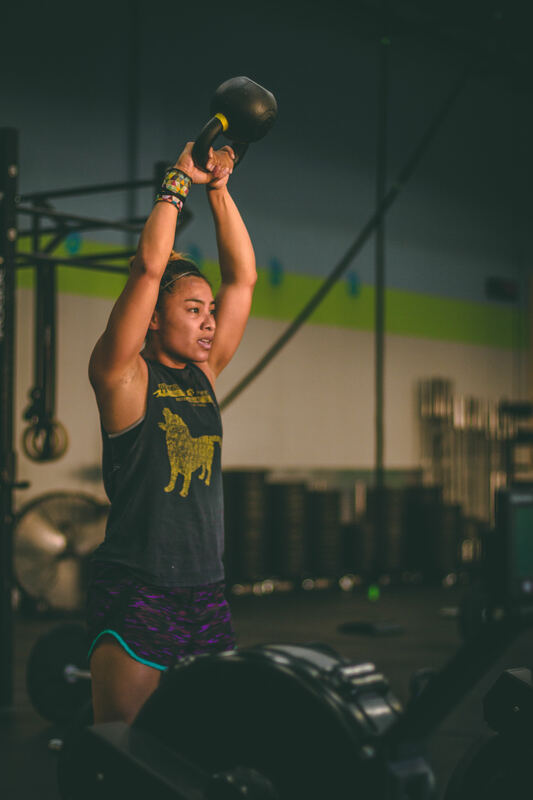 Memorial Day Murph is a CrossFit tradition that has also become a tradition at the Cove since opening our doors some four years ago. If you haven’t heard of “Murph” it is a “Hero WOD” to honor fallen U.S. soldier Michael Murphy. He gave his life in the mountains of Afghanistan trying to protect to the lives of his fellow soldiers. This workout is to celebrate his life and sacrifice and the sacrifices of so many other brave men and women in our military who fight every day for our freedom. It is a daunting workout consisting of a 1 mile run, 100 pull ups, 200 push ups, 300 air squats followed by yet another 1 mile run (you can break up the pull ups, push ups, and squats any way you want). We offer lots of versions of this workout to make it approachable to any athletes. Doing it as a team is a blast, shortening the run or lowering the rep scheme are other ideas to make it achievable. 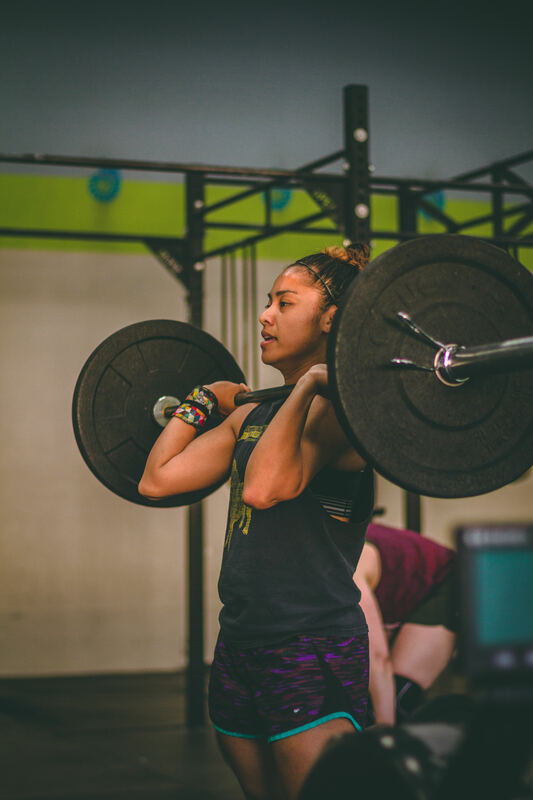 We will have more articles on Murph in the coming weeks, but to ensure the safety of our athletes we want help you find a version that is perfect for you. 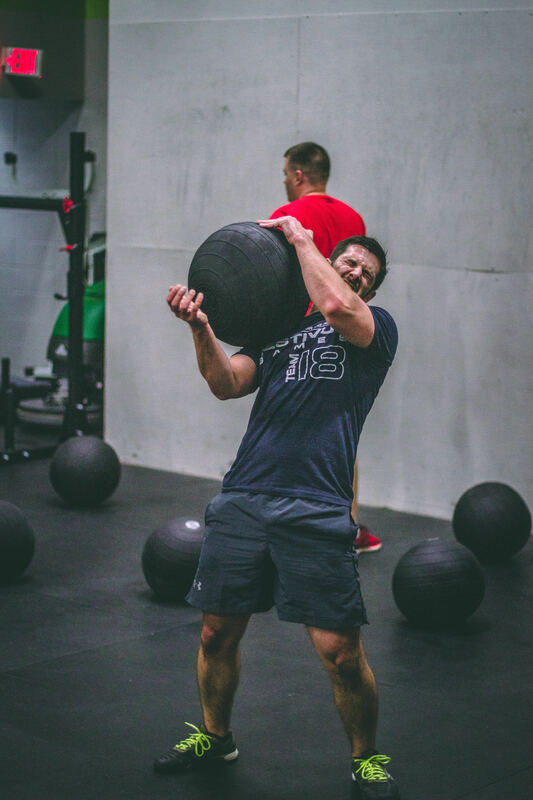 For those athletes that are looking to get ready for “Murph” we want to offer up some ideas that you can do to prepare before or after class. You can try these mini workouts with whatever scale works for you. For the next few weeks do one or two of Cindy before or after each class you take. We’ll then move to more rounds of Cindy before or after class as we get closer. Try some runs with body weight movements. For example – run a 400 meter run, try 2 rounds of Cindy, run another 400 meter, and knock out another round of Cindy. This is a great little piece that should take you under 10 minutes. For an open gym workout, try a 800 meter run, followed by 5 rounds of Cindy. Run another 800 meters and complete the workout with 5 more rounds of Cindy. This is a great way to find a good running pace with all the other work you have to do for this workout. Air Squats 3 squats, rest 10 seconds, 6 reps, rest, 9 reps, rest, 12 reps.
Over time you can add reps to those ladders. The key is those short periods of rest. Long workouts like Murph are all about pacing. Solid Push Ups are the key to success for most people doing Memorial Day Murph . 200 Push Ups is a HUGE volume, even breaking up the reps into small sets. Try to hit 20 each morning and sneak in another 10 to 20 at some point during the day over the coming weeks. Over time you WILL get stronger in this movement. Remember that Murph is about remembrance, fun and community. Don’t stress about it or think you have to drop all your other fitness goals to get ready. We just want to offer you some healthy ways to start the fun a little bit early and get your ready for one of the best days at the Cove. 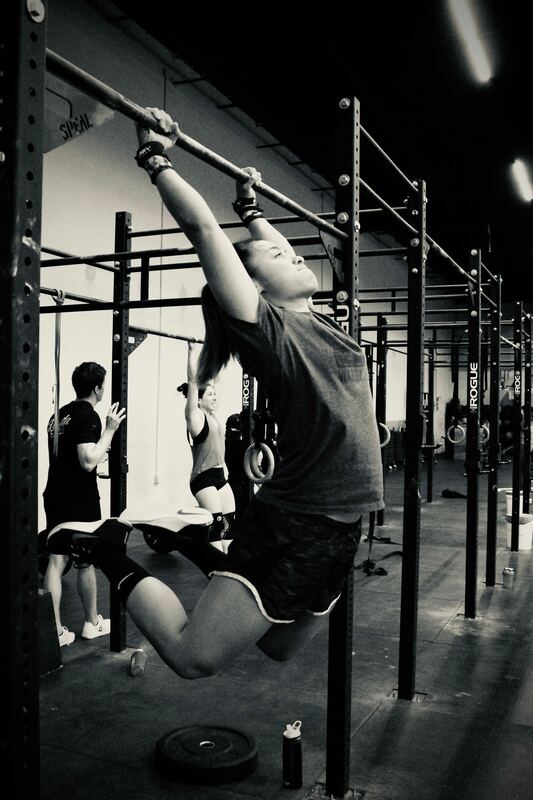 Coach’s Tip: Metcon and gymnastics involve a lot of grip so make sure your hands are up for the task. Rounds should be under 4 minutes each with time being made up at the end of rounds. Stephen G. working a heavy ball. 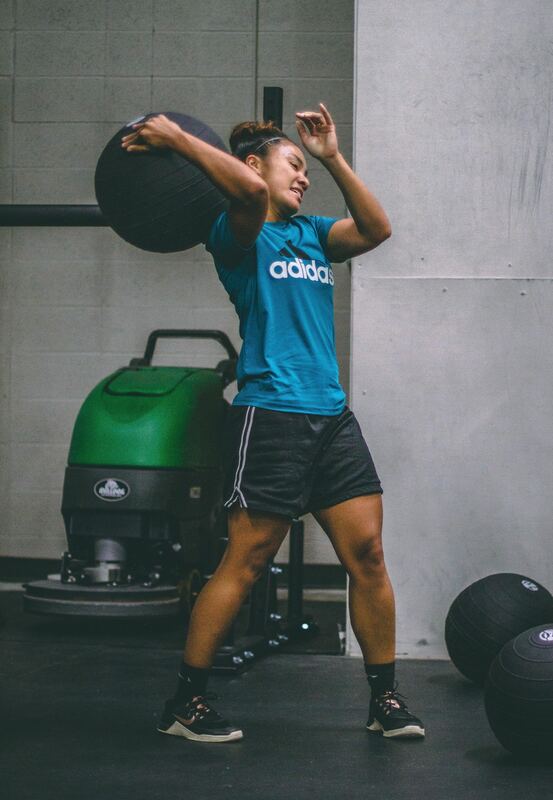 AND a clear nominee for Best WOD Face! Coach’s Tip: Lots of time and reps for Overhead Squats. As always, we look for full range of motion and good positions. If you get in to the gym before class, start stretching your shoulders, chest, upper back, and hips out…don’t just sit down and wait. Use some of the movements coaches commonly use for warmups and cool downs. YOGA SUNDAY AND OPEN GYM 9A-NOON! Open season is Sunday Yoga season. Be good to yourself and join us at 8:15 for some recovery time. 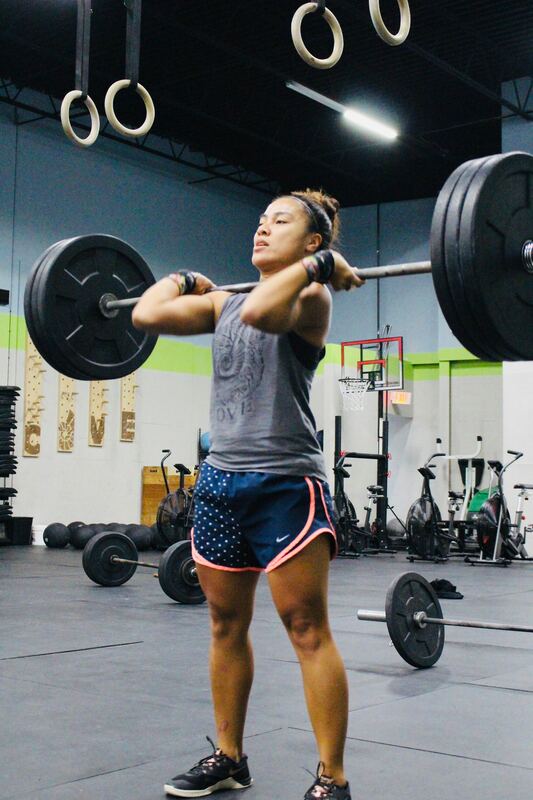 CrossFit for a Cure Event NEXT Saturday! 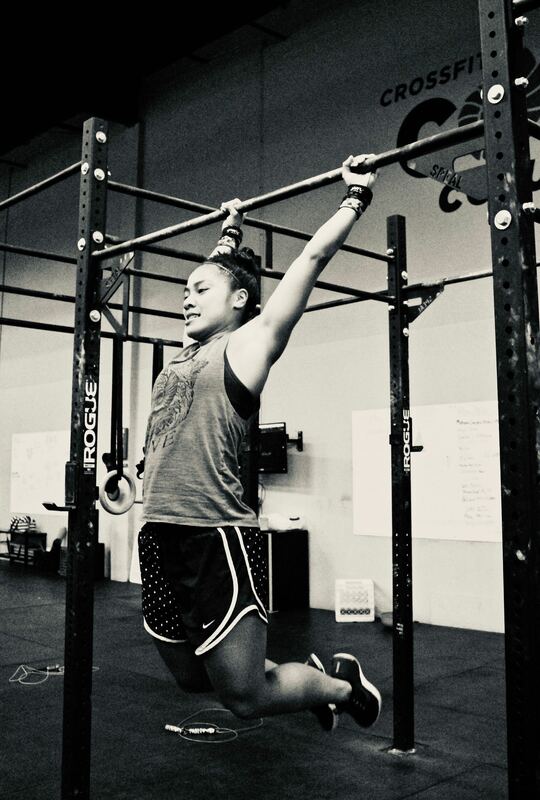 Next Saturday at 10 AM CrossFit ReVamped is hosting a free workout to raise money and awareness for the Juvenile Diabetes Research Foundation. Revamped athlete and friend of the Cove, Lizzy Mourges, is the mother of a wonderful 2-year old that is fighting against this disease. We would love the support to help in those efforts. You can find out more about this event here and donations for the JDFR can be made here. Coach’s Tip: Getting back to some strength work with Deadlifts. For the metcon there is a ton of pressing volume with both dips and HSPUs so choose a movement/sub that you can do more of 1 reps at a time. Partner rowing can be fun, especially if you are the one not rowing! If you have been coming to the gym for more than a month you have most likely heard people talk about protein and seen various shaker bottles and plenty protein shakes. Some of you may think “What are those for?”, “Do I need those?”, or “What’s the difference between all the protein powders?” This short blog post is to break down the 3 types that we sell and explain their benefit in a simple way. If you look in the entrance of the gym where the t-shirts are you will notice couple different types of protein tubs- Post WOD, Driven WHEY, and Driven Nutrition Casein. Between the three options there are two types of protein- whey protein and casein protein (both the Post WOD and the Driven WHEY are whey protein). Both types of protein, whey and casein, are derived from milk and are just micronized versions of that specific protein (in order words they are broken down into a powder form). Protein is the building block of muscle gain (and muscle gain helps with fat loss so they go hand in hand). They can both be used as good supplements (or addition) to a minimally processed healthy diet. Casein protein is the main protein found in milk and is digested at a slower rate than whey protein. This can be great if you know you aren’t going to be able to eat for a while after working out that way you get a constant release of protein in your system. Some foods that have casein in them are plain yogurt, cheese, and plain kefir. Many athletes will take Casein prior to bed to ensure consistent protein assimilation while someone is sleeping. Whey protein is a byproduct of milk and is absorbed much quicker by your body than casein. The Post WOD protein has a mix of protein, some carbs, and a tiny bit of creatine. This can be great immediately after working out to replenish your energy stores and get the muscle building process started asap. The Driven WHEY can be great post-workout as well or if you need to add a tiny bit more protein into your diet. As mentioned previously, all of these can be used as good supplements to a minimally processed healthy diet but shouldn’t be used as replacements for whole foods. Any questions, feel free to contact me- john@crossfitcove.com. Coach’s Tip: Back to Partner Fridays! Come in and get a good sweat on! Although many of us our sad to see the Open come to an end it does open up the door for the return of Partner Wod Fridays. Working out is hard but is some how is more enjoyable with someone else. Coach’s Tip: Triplet with some high reps. Choose a weight that you can do sets of 10+ with the Overhead Squats from the beginning.